Valentin Ionescu joined Răzvan Dincă & Asociații shortly after graduating, in 2017. In his years of study he has gathered experience from various areas of practice and is now part of the banking team, knowledgeably aiding clients with a thourough understanding of civil and comercial law. 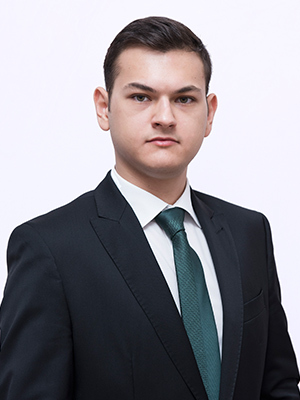 To further his studies, Valentin started attending a Master’s Degree in Public Procurements, Public – Private Partnerships and Concessions at the Faculty of Law – University of Bucharest.